Founded in 1989, Executive Temps is a full service employment agency, designed to exclusively meet the staffing needs of the entertainment industry. Temporary, contract, temp-to-perm and permanent positions drive our areas of service. Our ET leadership team, led by founder Stacy Milner, former executive assistant to both network and studio chairmen, boasts a rich history of experience in recruiting, interviewing, training an employing highly qualified professionals who are able to hit the ground running. Executive Temps requires a rigorous interview process that includes resume screening, testing, a face-to-face interview and a background check. Due to our history in the industry, Executive Temps continues to draw a diverse talented pool of professionals who are passionately seeking a position in the world of entertainment. We attract professionals who have earned degrees of higher education from some of the most selective colleges & universities across the United States. 2 out of 3 are pursued as full-time employers. 8 out of 10 are requested back by name. 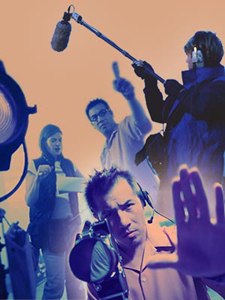 We provide training for recent college grads and Hollywood hopefuls. Click here.